Beach Live in new homes at Crystal Lagoon in Wesly Chapel. Live the beach dream in central Florida in New Tampa area. New Homes.. Anyone who has ever played Monopoly knows one of the most desirable pieces of real estate on the board is Park Place. Tampa-based Metro Development Group is rolling the dice on Pasco County, dusting off plans for a massive new community on the former Epperson Ranch. And Wesley Chapel's new Park Place will be the first community in the U.S. to feature Crystal Lagoon, a man-made 8-acre swimming pool with its own private beach. Originally developed in Chile, Crystal Lagoons have been built in 60 countries ranging from Australia to Egypt — the largest is 30 acres. Metro President Greg Singleton said he wanted to offer a unique amenity that would differentiate his communities from other real estate projects. Park Place is the first of four such projects that will be featured in the Tampa market. "When you see them in person, it's breathtaking," he said. "What's important is that the community is going to be affordable. The homes will be priced in the mid-$200,000s." 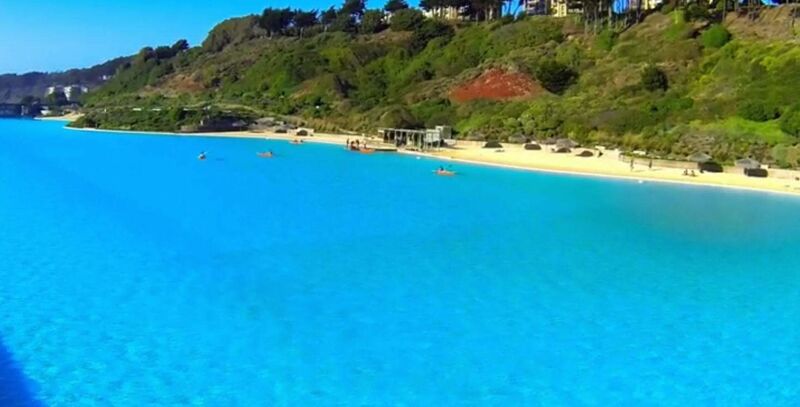 The lagoon would hold up to 18 million gallons of water. Singleton said the preliminary design calls for a water obstacle feature, a swim-up bar, volleyball courts, a waterslide tower and a boat launch. "You can kayak or paddleboard," Singleton said. "You could even use a small sailboat." The patented technology keeps the lagoons clear and safe at a fraction of the cost of operating a traditional swimming pool. They are designed to use less water than a golf course. "And it's so clear, it's like holding up a bottle of Zephyrhills Spring Water," Singleton said. Construction started, along with the first phase of Park Place. Commissioners approved the rezoning for the 590-acre segment of the former Epperson Ranch last week. The 1,742-acre ranch was once slated for nearly 4,000 homes and 250,000 square feet of retail space. New housing construction has begun and homes are selling quickly.